From the series entitled “Fool’s Paradise”, created with set designer Miren Maranon, which was inspired by their intrigue with “ideas of shifting realities and the creation of fantasy and illusory happiness”. For this project, they crafted environments that are meant to inspire “uplifting feelings through deceptively artificial means”. From the series entitled “Life After Death”, a project in collaboration with Lightning + Kinglyface for The Wellcome Trust. This series uses toilet paper to illustrate death and how a human body decomposes over time. From the series entitled “Water Features”, another collaboration with Anna Lomax. Aiming to craft mysterious and dreamlike scenery, this piece was crafted for a series inspired by “architectural and landscape water features”. 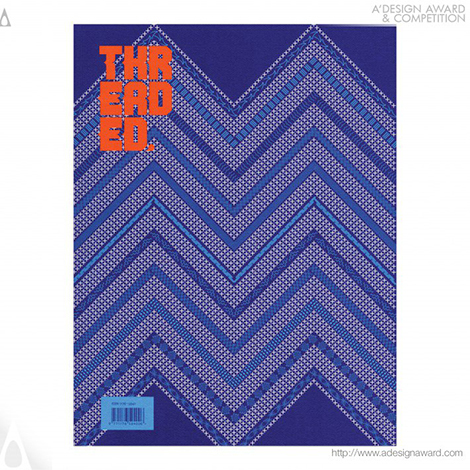 Are you a fan of design and type related books? If so, these Kickstarter campaigns might be of interest to you. 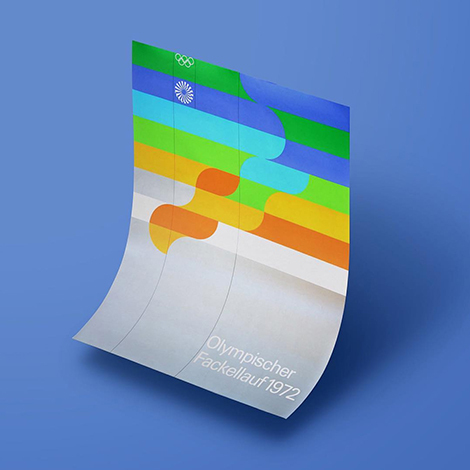 The first supports a stunning reference book on the 1972 Munich Olympic Games’ identity system. The second is a detailed biography on designer W.A. Dwiggins. Learn more after the jump. 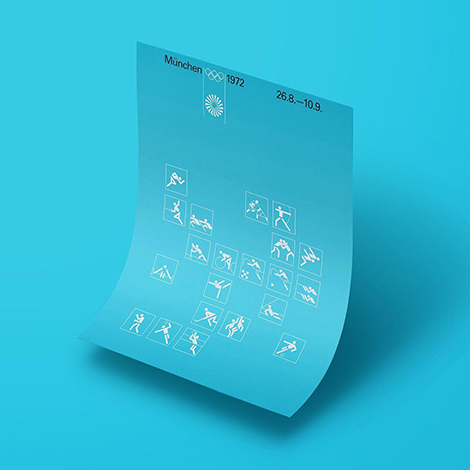 Fifteen years ago, designer Alessandro Rinuado stumbled upon Otl Aicher’s work for the 1972 Munich Olympic Games. Blown away by the elegant pictograms, bold typography, and systematic design approach, he’s collected ephemera from the event ever since. Today, Rinuado is compiling his collection of over 400 items into a detailed reference book and has launched a Kickstarter campaign to help fund the project. To support his efforts, visit his Kickstarter page before it expires on May 7th. A limited number of backers will receive an exclusive discount on the book. W.A. Dwiggins was a prominent designer of the early twentieth century. From advertising to typography, he made an influential mark in many areas of design. Bruce Kennett and the Letterform Archive are producing a comprehensive biography on Dwiggins that will feature beautiful pieces from their collections. To back this project, visit their Kickstarter campaign before it ends on April 28th. I love getting lost in Andrew Fairclough’s illustrations. Not only do they hold the drama and charm of vintage comics, but they also possess “true grit” – an expression he uses to describe his love for halftone patterns and grainy visual noise. These elements add a sense of nostalgia and tactility to his art and were prominently featured in his first solo show, Total Control, at China Heights gallery in Australia. In today’s interview, we discuss the exhibition, as well as his passion for teaching and his latest side project – an online shop for textured Photoshop brushes and vectors. This is the second part in a two-part interview series in collaboration with our friends at Skillshare. For a limited time, you can take Andrew’s class (as well as many other classes) for free. Click here to learn more and receive 2 months of Skillshare Premium for free. Where are you from and how did you become interested in design and illustration? I live in Sydney, Australia but I originally grew up a few hours north in a small beachside town called Sawtell. As a kid and most of my teens I spent a lot of time either skateboarding, surfing, listening to or playing music or drawing things related to skateboarding, surfing and music. Logos, tricks, portraits of my heroes, album covers, Powell Peralta, Vision and Santa Cruz skate graphics, ramp and skate shoe designs as well as perfect waves I could mind-surf when the waves were flat. To me sports like skating, surfing and snowboarding were more than just cool, subversive pastimes, they had this bubbling undercurrent of art, music and film that was a huge part of the culture and that really drew me in. I always knew that I could probably never be a pro-skater but I could probably become a pro-artist and make graphics in that world. 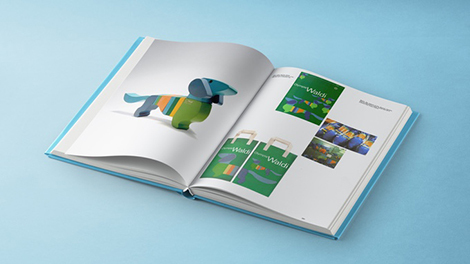 From album covers to editorial illustrations, you’ve tackled a wide range of projects. What types of projects are you most passionate about? What attracts you to that type of work? Any project that allows me to progress my work and really express some of my own creative urges. Those kinds of projects don’t come along that often and for me it’s really important to experiment and push myself by making time for personal projects, self-promotional pieces and art shows. In a commercial sense music projects and editorial illustration are often fertile ground for conceptual and stylistic experimentation with the added bonus that these projects usually involve working with trusting and skilled art-directors who understand the creative process and take a collaborative approach to any project or design problem. That’s not to say that highly commercial advertising or branding assignments can’t elicit a similar response. Your work is distinct and instantly recognizable. Is this a result of a natural progression or was it more intentional? I would say semi-intentional. I mean, I don’t quite see my work as being instantly recognizable because I feel it has evolved and mutated over the years but at one point a light bulb definitely went on where I knew the direction my work was heading and the broader aesthetic I was pursuing. I think as you develop as a designer, artist or illustrator you get comfortable in the way you do things and that becomes like a visual fingerprint that you can never scrub from your work. I’ve long admired the textures you incorporate into your work and have been curious as to your process. With this in mind, I was excited to discover your Skillshare class – “True Grit: Handmade Textures Halftones for Designers Illustrators“. Can you share what led to the creation of the class? The Skillshare team approached me about putting together a class via my Illustration agents in Melbourne, The Jacky Winter Group. I was a little hesitant at first I must admit, partly due to time constraints and the logistics of creating a great class, talking to the camera and getting your point across without sounding like a fool. I’d had quite a few requests on social media to teach a class and around the same time I met up with Dan Kuhlken from DKNG whilst visiting LA and he really got me hyped after explaining what a great experience teaching on Skillshare had been for them. *For a limited time, you can take Andrew’s class (as well as many other classes) for free. Click here to learn more. The class has gained a lot of attention. What do you think has led to its popularity? What do you hope students gain from it? If I knew I would bottle it. Like in a really nice bespoke medicine bottle with a screen printed label. Jokes aside, I think the success of the class is the result of the fun, hands-on approach to making textures, a focus on outcomes, an easy to follow structure and good production values thanks to my good friend Daniel who took time out from his usual job directing commercials to help produce the class. I really analyzed my own skill set and tried to craft a course that I knew from interaction with my own social media following wasn’t being catered to at the time. There were lots of short courses on distressing logos in Photoshop or Illustrator but no-one was really teaching the fundamentals of creating hand-made analog textures and processing them for use digitally. The class is mostly the result of stepping back and asking what I would want to have learned from someone with my skillset 5 or even 10 years ago. In what ways do you feel the increased access to free and affordable design resources and classes have affected the design community? From a pure problem solving perspective we’re so lucky to have such easy access to cheats and workarounds to solve simple software problems and fill very specific knowledge gaps (e.g. how to fix a bug, use the Clone Tool or install a Photoshop Brush). I do think that it is a trade off though and junk that’s free is still junk especially when it comes to the multitude of free patterns, brushes, actions and fonts lurking around the more opportunistic corners of the design internet. I think Skillshare is really breaking down some of the geographical and economic barriers to creative skills development. Skillshare presents a great opportunity for designers to learn from not only giants of the design world like Aaron Draplin and Jessica Hische but from lesser known, seasoned and highly skilled pro’s who are making valuable years of collective knowledge so easily accessible. This is especially beneficial to the design community when you consider the impossibility of learning such skills through pure chance, circumstance or persistence. As with anything, it’s not the skill but how you use it and the real long term value lies in students transforming these newfound skills into unique and original work that defines careers. What single most important piece of advice would you give to students and young designers trying to establish themselves in the industry? Don’t wait for a brief, write your own. Create a personal project, work hard at it and put it on the internet. When you’re finished do it again whether it was a success or not. Embrace failure and keep an eye out for happy accidents, that’s where the magic happens. Be 100% batshit crazy delusional about how good you are, share your work, email your heroes but don’t let the knockbacks or unanswered emails get you down. Your career is a work in progress and establishing yourself takes time, energy and persistence. OK, that’s more than one piece of advice but the basic theme is work hard while you wait. Last year you founded True Grit Texture Supply, an online shop that sells textured Photoshop brushes, vector packages, and other resources. What led to its creation? Over the years a lot of students as well as established illustrators and designers had asked me if I had thought of selling any of my textures or brushes and I’d given it some thought but never quite made the leap. The success of my Skillshare class really opened my eyes to the value that my years of experience had and that a market existed for well crafted textural design tools made by someone who uses them every day. And now here we are. You recently launched your first solo exhibition, Total Control. Tell us about this collection and the themes you explored within the work. The show featured 12 mixed media works on framed wood panel combining illustration, painting and screen printing. I wanted to explore themes of introspection, confusion, duality and impulse control all viewed through this inescapable dead-gaze of technological distraction that has crept into pretty much all of our lives. In the lead up to making of the work I had been reading a lot about tech addiction, impulse control and media distraction and Adam Curtis’ dystopian documentary HyperNormalisation also had a real impact on me during the making of the show. This post was brought to you by Skillshare, which aims to close the professional skills gap and provide universal access to high-quality learning. Skillshare is graciously offering Grain Edit readers 2 months of Skillshare Premium for free. Click here to learn more. Interested in sponsoring Grain Edit? Visit our sponsorship page for more info. Felipe Posada is a multidisciplinary visual artist living and working in New York City. I am enthralled by his ongoing project, The Invisible Realm, a collection of digital collages inspired by concepts that have captivated him throughout his life. Bursting with celestial imagery and vintage landscape photography, his pieces often revolve around the themes of space exploration, anthroposophy, and metaphysics. As I study Posada’s surreal compositions, I can’t help but reflect on my own connection with nature and the mysteries of the ever-expanding universe. To see more from the series, check out his Instagram. Spassky Fischer is a graphic design studio based in Paris. Focusing on identity, photography, and print, they often collaborate with museums and festivals throughout France. Last year, they created stunning work for MuCEM, the Museum of European and Mediterranean Civilization in Marseille. Layering blocks of color, large typography, and a slew of photographs, the studio crafted an assortment of posters, signage, and brochures that beautifully display the museum’s content. The dynamic collage-like layouts radiate with energy and attract museum-goers, pedestrians, and subway riders. The 2017 A’Design Awards winners have been announced! The esteemed award is presented to artists whose work demonstrates excellence in creativity, technology, and design. 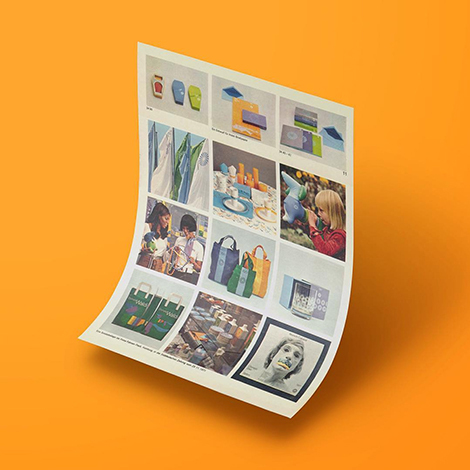 This year the contest was divided into 100 categories including Visual Communication, Packaging, Photography, and more. Entries were carefully considered by an international panel of design professionals, scholars, and members of the press. Winners will receive the A’Design trophy, invitations to exclusive design clubs, as well as services to advance their careers. In addition, they will be honored for their accomplishments at the award ceremony in Como, Italy later this year. LIFEWTR Series 1 Bottle Graphics by PepsiCo Design Innovation. Designed by OMO, Craig Karl, and Jason Woodside. To participate in this exciting event, make sure to enter next year’s competition. This post was brought to you by the A’ Design Award Competition which aims to recognize the best design work from around the world. Studio Proba is a multidisciplinary studio founded by Alex Proba in 2013. From designing furniture to painting murals, she immerses herself in a variety of projects including collaborations with stores such as Print All Over Me and Aelfie. For the latter, she created two rug collections that feature playful geometric patterns and pastel color pallets. Another project I’m drawn to is her “A Poster A Day” series. Each day she designs a poster by visually interpreting questions and stories submitted to her website, all of which fall into the given theme of that year. In her own words, “The first year of ‘A Poster A Day’ was about my life, the second year was about Yours and the third about Ours. The next 365 days are going to be Hers.” The project has turned into a beautiful series of photographs and abstract compositions, including the image above, which answers the question, “What is the most important global challenge right now?” To participate in the project, see submission guidelines at StudioProba.com/Hers. Question: Your work is such clean! What would happen if you made something busy but still clean? Question: Are Lobsters Mermaids to scorpions? Caserne translates to “fire station” in French. Like firemen, the Montréal-based design studio believes in dedication and rising above adversity. Building on that theme, the studio has a shop in which they sell fireman-inspired items including tote bags covered in fire hoses and t-shirts that sport the phrase “dedicated”. A personal favorite is a promotional photo calendar they created last year which features an assortment of typefaces found on fire stations throughout Montréal. The charming letterforms accentuate one another and are well balanced. In addition to their shop, the studio tackles a variety of projects such as food packaging, movie posters, and type design. When crafting the identity for their own brand, they collaborated with the type foundry Coppers and Brasses to create a custom typeface that is “subtler than a siren, but as visible as a fire truck.” Together, they produced a stencil typeface that is applied to Caserne’s entire brand and has won accolades from the Type Directors Club and Grafika 2016. Kate Bingaman-Burt is a prolific illustrator, educator, and beacon of inspiration. Her passion for encouraging and cultivating creativity shines through her work as an associate professor of graphic design at Portland State University. This love for teaching also extends beyond the classroom, as demonstrated through her many lectures and workshops on drawing and zine production. In these discussions, she highlights the importance of artistic discovery and giving oneself time to explore and create. Additionally, she promotes rule-based projects that allow for a clear set of constraints. These values form the foundation for her latest endeavor, Outlet, a retail/workshop space. In today’s interview, we discuss Outlet as well as her many contributions to the teaching community. This is the first part in a two-part interview series in collaboration with our friends at Skillshare. For a limited time you can take Kate’s class (as well as many other classes) for free. Click here to learn more and receive 2 months of Skillshare Premium for free. and now on to the interview..
Tell us about your background. Where are you from and how did you become interested in design and illustration? I am from the midwest (born in Wisconsin, grew up in Missouri and my first design job and graduate schooling was in Nebraska). My grandparents were illustrators and my parents were weavers, but I wanted to be a journalist. It wasn’t until I made my first zine in college that I realized that I also wanted to do design as well. I blame photocopiers, Art Chantry, Plazm magazine and a totally amazing graphic design professor (Marcus Melton) that made me fall in love with design. Illustration is a TOTALLY different story since I actually HATED drawing for years. I hated it so much that I started a project where I tasked myself with drawing all of my credit card statements until they were paid off. I picked drawing because I saw it as a form of punishment, but I fooled myself because several months into the project I started falling in love with making marks, drawing type and just the process of slowing down. That project lead to my daily purchase drawing project where I drew something I purchased everyday for 8 years. That project lead me to establishing my own illustration practice for other good people and companies. As an illustrator, what types of projects are you most passionate about? What attracts you to that type of work? Some of my favorite client projects are those that overlap with content that I am especially passionate about. My work with IDEO and Bedsider has been a dream collaboration and I recently finished illustrating an entire exhibition at the Oregon Museum of Science and Industry about engaging 9 to 12-year-old girls in engineering. Right now I am illustrating a book about empowering teenage girls to build things, a vegan cookbook, a book about how to pay attention, and a children’s book about a lonely iceberg. After typing that out, I guess I do a lot of illustration for books! yikes! I always have personal illustration projects running alongside my client work too. Currently, I am working on a zine that dives into all of the music that I grew up listening too as well making a zine cataloging all of the things that I am throwing away. You have been an active part of the teaching community in Portland for a long time. What led to your interest in education and working with students? What do you love the most about teaching? I love so many things about teaching! Portland State is really great because my classroom feels less like a teacher leading a group of students and more like a group of really smart and fun people working on projects together. I feel more like a coach or an aggressive yet critical cheerleader. My first class of students was years ago at the University of Nebraska-Lincoln when I was a graduate student. I was really fortunate in that I taught at TON when I was a graduate student and it was part of the way that I put myself through school. Teaching wasn’t something I intended on doing, but now I can’t imagine NOT doing it. It’s a huge part of my creative practice and my students are insanely great. My favorite part about teaching is seeing students achieve things that they NEVER thought could be possible, and then seeing them realize that the initial thing they were freaked out about was a piece of cake and then watching them set themselves up for an even bigger challenge. It’s the best! Another favorite part about teaching is the matchmaking aspect of it. I love introducing people and I love encouraging relationships and seeing smart things come from those connections. I’ve always wanted to participate in one of your workshops, so I was excited to see you collaborate with Skillshare. Can you tell us about your class “Drawing Collections: Illustrating Stories through Taxonomies”? What led to its creation? I have always been interested in drawing my own personal history through stuff along with drawing other people’s personal histories through their objects and things. Whether it’s family heirlooms or movie ticket stubs, collecting always tells a story. And stories are fun to tell as well as draw. So building a class around personal investigation into your own items seemed like it could lend itself to a fun class. I teach in person workshops about drawing and writing about favorite items and they are always so interesting to conduct. Extremely personal discoveries happen when you dive into even the most mundane collection. And then you really spend time with the items when you draw them. Drawing your objects gives you time for reflection and you start to think deeply about your relationship to your stuff and other human relationships that might surround that object. The class has gained a lot of attention. What do you think has led to its popularity? I am not sure! But I am really flattered that people seem to enjoy the class. I think the class is accessible since what I am asking is that we investigate our collections…we all have collections even if we think we don’t collect stuff. It’s definitely more of a storytelling process rather than focusing on a technical process. Diving deep to find that interesting story that is just hanging out in your medicine cabinet or on your bookshelf or in your sock drawer. It’s there! You are surrounded by so many good stories…you just have to slow down a bit to find them. What do you hope students gain from the class? Everyone has a story to tell and you can start this story by slowing down a bit and thinking about the objects that you interact with everyday. What do these things say about you? What is the history of your stuff? I always return to Sister Corita Kent’s list of rules that she and her students wrote together in the late 1960s. It’s PACKED full of good things to remember as someone trying to make work in this world. One of my favorite rules is Rule 8: Don’t try to create and analyze at the same time. They are different processes. also: Rule 6: Nothing is a mistake. There is no win. There is no fail. Only make. I am a big believer in trying to turn my students on to making PILES of work and then sorting out the good stuff from those piles. It’s so easy to talk yourself out of making anything when you are in school. We have to make the crap in order to move forward to making the good. And as far as trying to establish yourself in the industry…get involved with people! Volunteer. Say yes. Dive in. Show people how you work with others. Invest in people and be open to experiences. Lots of people can make good looking things, but not a lot of people can work with other people. Working with people is everything. Be a good person to work with. You are in the process of launching Outlet, a hybrid retail/workshop space. Can you tell us a little about the project? What led to its creation? Outlet is part illustration studio, part print studio, part design and zine library, part retail, part gallery, and part workshop and community space. It’s a home base for me to experiment with installation and exhibition ideas in public along with establishing a physical location for hosting workshops lead by me and by others. It’s pretty tiny (600 square feet) but it’s going to be packed with energy and programming. Its grand opening will be at the end of April, so I am prepping for a summer of events. Through studio work, teaching and lecturing you have been involved with many areas of the world of illustration and design. What accomplishment are you most proud of? I think the areas where I am able to do all of the things that I love together in one big project. Like whenever I do a larger scale installation that also incorporates a workshop or a talk or an event…it’s just SO FUN. Or when I create a project that involves the audience in someway. Those are the most satisfying projects. I am currently neck deep in working to open my new project space Outlet which hopefully will embody all of the things I am interested in (workshops, resource space, events and my drawing studio). However, I think if I were to pick a singular accomplishment it would be teaching full time over the last 13 years. I can’t get over how many incredible people I have encountered through this job. Building community through teaching, events, matching people together and just making a place for creative space is incredibly rewarding. I am a broken record about the importance of lifelong learning, and there are so many incredible resources available for this pursuit to be possible. Since I started teaching, I have seen the initial learning curve really flattened over the years because more and more I am able to point students to additional resources online. They can catch up and add to their skills in such a faster way than they could of in the past. Combine those online experiences with in-person learning and sharing and you have a winning combination. Muskat is a small studio founded by Claudia Scheer and Manuel Federl, designers based in Berlin and Hamburg. The duo has compiled a lively portfolio after stints at design schools and prominent studios such as Edenspiekermann and Upstruct. During their tenure at TH Nuremberg, they crafted a visual identity for a fictional ballet academy. Incorporated into the identity is Benesh Movement Notation, a collection of symbols that represent choreography. These symbols gracefully unite the type and photography as they dance across each layout. Mark 50 cover contest entry designed by Claudia Scheer and other designers while interning at Upstruct in Berlin.